For over 130 years the AMC has been committed to conservation and recreation throughout New England and elsewhere. As part of its Maine Woods Initiative the Appalachian Mountain Club (AMC) is dedicated to protecting over 100,000 acres while creating sustainable outdoor recreation opportunities throughout Maine. Recently the AMC acquired a sporting camp in the Maine mountains which dates back to as early as 1867. 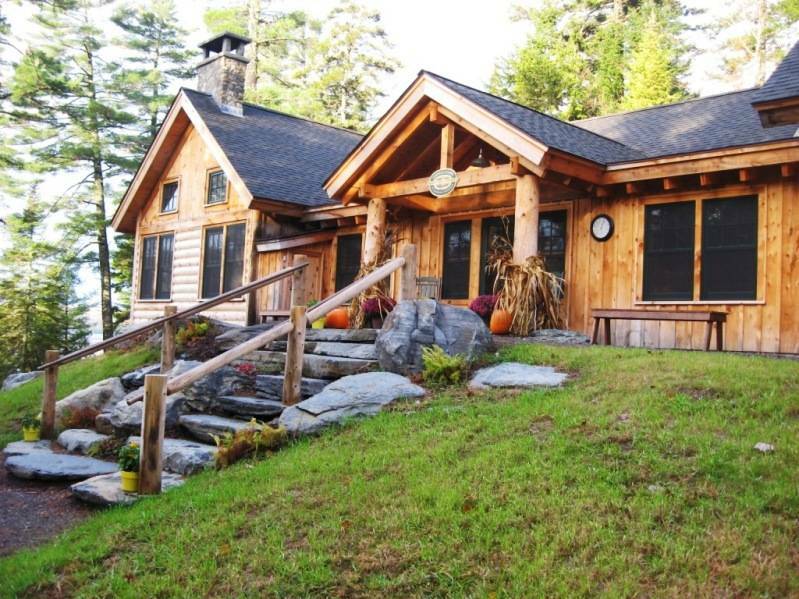 Renamed for longtime AMC supporters, Leon and Lisa Gorman, the Gorman Chairback Lodge is located on Long Pond near Greenville, Maine, and is one of three camps operated by AMC in the state; it is the first LEED registered sporting camp in Maine. 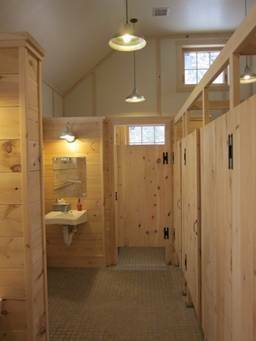 Newly renovated cabins and a state-of-the-art sustainable bathhouse lodge offer green-yet-modern technologies that enhance the comfort and experience of visitors. By installing a Clivus composting waste treatment system at the new lodge AMC was able to forego building a full-size septic system and, in line with its Maine Woods Initiative, there was less site disturbance and few trees were sacrificed. Leadership in Energy and Environmental Design (LEED) is overseen by the US Green Building Council. Under the LEED program “green” designs typically integrate tested technologies designed to minimize impact on the environment, and points are given for effective performance in various categories, e.g. : water use and conservation. 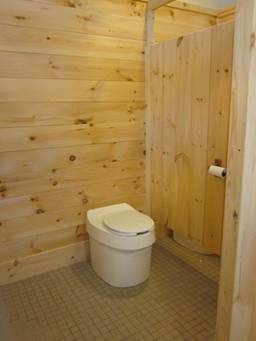 The Clivus composting waste treatment system installed at Chairback increases fresh water conservation by using zero gallons of water per restroom visit. Solid waste retained in the composter is reduced by 95% through the composting process, and is converted to a re-usable, pathogen free, non-polluting soil that can be put back into the surrounding environment. 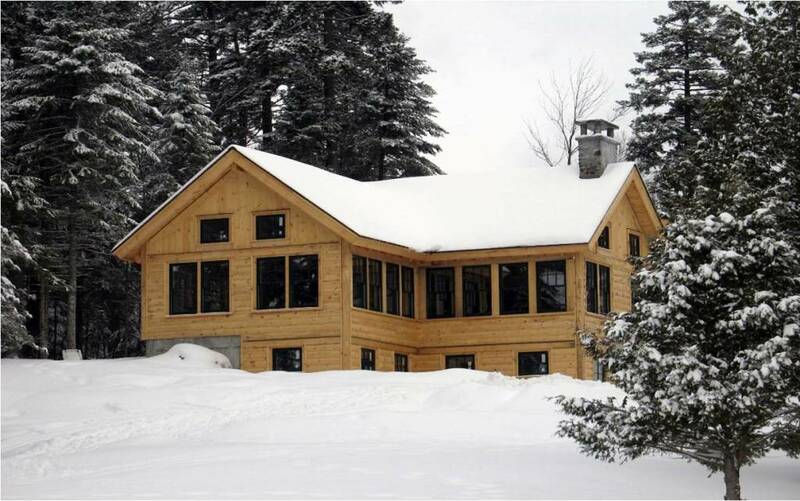 Architectural services for the Chairback Lodge provided by LDa Architecture, Cambridge, MA. 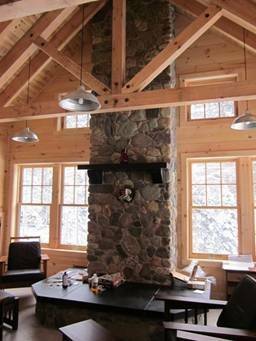 Learn more about Gorman Chairback Lodge: AMC Gorman Chairback Lodge.